Altadore, South Calgary, Garrison Woods, and River Park residents are actively engaged in their community and keeping them informed is our top-priority. 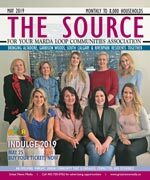 The Source (Marda Loop) is the official community newsletter, and covers community news and is published monthly to keep content current and relevant. Delivered to every household, apartment, and business, every resident is acquainted with the community’s most important information. The Marda Loop Communities Association serves the residents of South Calgary, Altadore, Garrison Woods, and River Park neighborhoods. With an ever increasing population, we represent one of the largest groups of communities in Calgary, and one of the fastest growing communities in Canada with a rich mix of cultural diversity, parks and green space, recreation facilities, and of course our one-of-a-kind shopping district, Marda Loop. The Association is a not-for-profit body that has proudly served the residents of our community for over forty years and is run by a group of dedicated volunteers. The scope of our work revolves around many issues in our community including development, transportation, parks and green space, plus recreational and educational programs for all ages. 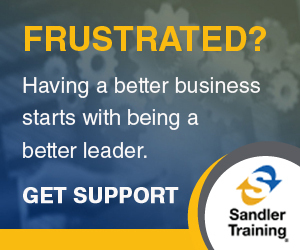 Our organization serves as a conduit to City Hall as the voice for our residents. In the City of Calgary's 2012 municipal census, Altadore had a population of 9,116 living in 4,486 dwellings, a 2.3% increase from its 2011 population of 8,907. With a land area of 2.9 km2 (1.1 sq mi), it had a population density of 3,140/km2 (8,140/sq mi) in 2012. Residents in this community had a median household income of $53,786 in 2000, and there were 13.6% low income residents living in the neighborhood. As of 2000, 11.9% of the residents were immigrants. A proportion of 37.2% of the buildings were condominiums or apartments, and 41.2% of the housing was used for renting. For more detailed info visit the City of Calgary community profiles site.